If you’re looking for a short adventure into the Amazon, this tour is for you! Explore Manú National Park in Peru, through guided walks and boat excursions. Spot varied wildlife such as caiman, side-necked turtles, wild boars, giant river otters, and monkeys. Look out for many of the 1,000 species of birds found in the park! Your action-packed adventure tour into the amazon takes place at Romero Rainforest Lodge in Manú National Park! 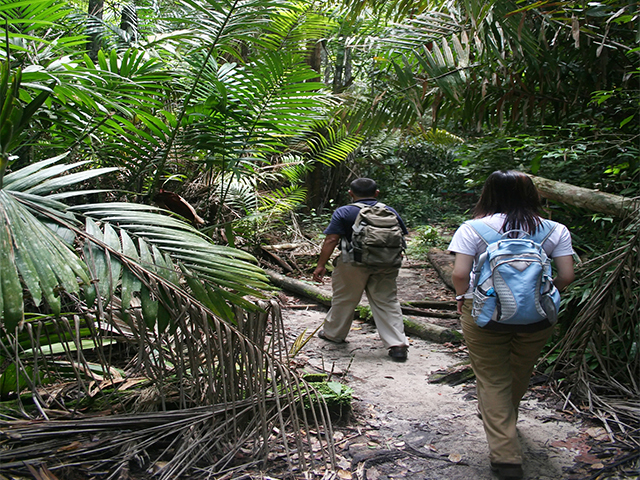 Take in the wonderful sights and sounds of the rainforest on your guided walks here. Spot resident giant river otters, monkeys, and many endemic bird species. Your exciting Peruvian journey starts with a short 45-minute flight transfer from Cusco to Boca Manu (included in tour price). Upon arrival, board a motorized boat for a two-hour journey to Manú National Park along a scenic route down the Madre de Dios River. Along your journey, take in all the wonderful sights and sounds of the rainforest. Start your wildlife adventure by keeping an eye out for different birds, black caiman, capybara, turtles, and much more! You will be dropped off at Romero Rainforest Lodge - your home for the next few days. Enjoy the comforts of staying in a rustic cottage within the lodge. Your room will have en suite facilities, hot showers, mosquito netting, and the required amenities to ensure a relaxed stay. The lodge is well known for its varied wildlife and its proximity to three oxbow lakes which host incredible wildlife. Take a guided walk along the trails around the lodge in afternoon while trying to spot resident giant river otters, monkeys, and many endemic bird species here. Later, go for a night walk to see nocturnal species. Spend the day exploring the different ecosystems within Manú National Park. Learn about the park’s diverse flora, and spot varied wildlife such as black and white caiman, side-necked turtles, and wild boars. Bird watchers can look for herons, egrets, orinoco gerese, terns, skimmers, and more! The best way to explore the park is through several hours of trekking. An experienced guide will accompany you on your walks and special attention will be paid to the plant life found in the park. 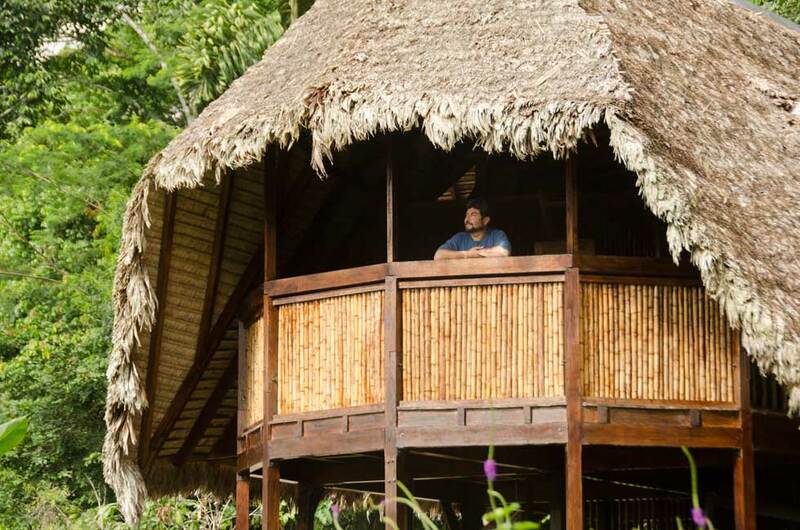 Your guide will explain the complex ecosystem of the rainforest and point out the many medicinal plants that are still used today by local indigenous tribes. 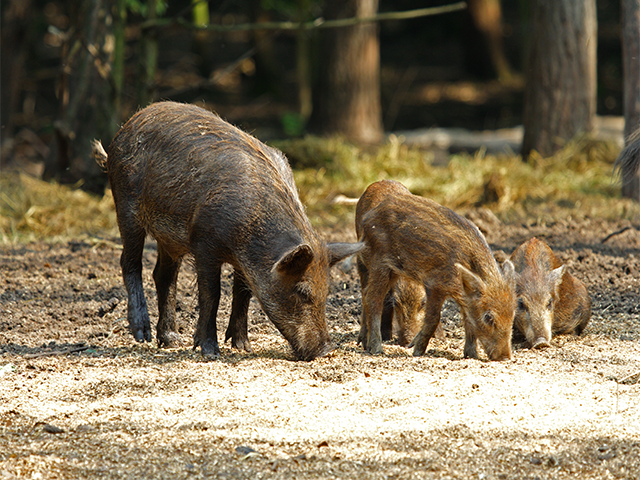 If you are lucky, you may come across a group of peccaries (new world pigs) or family of wild boar! At the end of your trek, a motorized dugout canoe will take you back to the lodge for some rest. In the afternoon, head up the river deeper into the park. Cruise along beaches teeming with herons, egrets, orinoco gerese, terns, and skimmers. Float back downstream while watching black and white caiman sunning themselves on the riverbanks and groups of breeding side-necked turtles. See hundreds of sand coloured nightjars roosting during the day on logs. If you’re exceptionally lucky, you might even encounter the elusive jaguar! Spend the evening relaxing at the lodge. If you still haven’t had enough of your wildlife fix, later head out for a night walk with your guide. Head out to explore the oxbow lakes near the lodge. Spot monkeys, macaws, a variety of herons, and egrets that inhabit the trees on the lake’s shores. Also look for the social family of giant river otters that resides in Brasko Lake. On the third day of your Peru wildlife tour, explore the oxbow lakes near the lodge. These lakes were formed when the Manú River changed course leaving a landlocked channel behind. Brasko Lake is located closest to the lodge, so this will be your first spot for exploration. As you sail past the shores of the lake, keep an eye on the trees that are often inhabited by monkeys, macaws, a variety of herons, and egrets as well! Spot the reptilian snouts of caiman in the waters below. The lake is also home to many fish, making it the perfect home for the giant river otter – one of the Amazon’s most endangered species. Look for the social giant river otter family that resides here, as they play and catch fish! You can spend the rest of your day walking and exploring the forest, spotting feeding hummingbirds, or watching some of the 49 species of ants found here. This is the end of your short yet action-packed Amazonian adventure. Travel back to Cusco for your onward journey home. Your Peruvian adventure comes to an end today as you board a boat back to Boca Manu airstrip and then take a flight to Cusco (included in tour price).